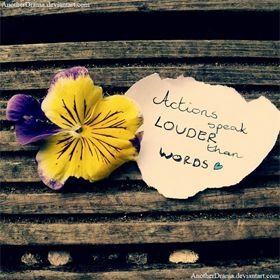 Showing search results for Actions Speak Louder Than Words Quotes, Quotations & Sayings 2019. The wise man desires to be slow to speak but quick to act. The absence of being told I love you is not the worse thing that could happen. 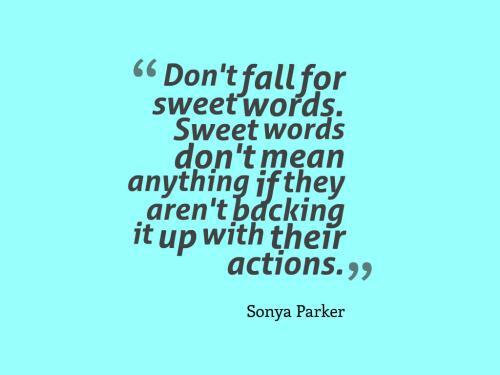 Remember, actions speak louder than any words ever will. An act goes much farther than a word will ever travel. Even when someone is silent, in different situations this silence is a communicator of a message. Instead of relying on words to make a change or a difference in the world, we must instead rely on actions for the most part. As Mariah Edgeworth quoted "
There is no moment like the present. The man who will not execute his resolutions when they are fresh upon him can have no hope from them afterwards: they will be dissipated, lost, and perish in the hurry and scurry of the world, or sunk in the slough of indolence." Be sure to remember that who you are to the world isn't what you say you are, but is instead who you act as. Choose to commit actions, instead of just talking about them. Set goals, and make plans for your life, and never hesitate to go after them.